The art of engraving has been in existence since civilization began. In ancient times, people engaged in the art of engraving to honour gods and their rulers. The existence of stone carvings in the Serengeti show that the art had been in existence for nearly 500,000 years. There is also the existence of the famous statuette of fertility in Austria (The Venus of Willendorf), and carved gemstones referred to as cameos which have been discovered in Rome and Egypt. Cameos are especially famous in Rome, where they were mainly used in carvings to resemble the likeness of its famed leaders and rulers, such as Alexander the Great and Pliny the Elder. Engravings were also used as a symbol of wealth. This is especially evident with the seals that were famous with the Sumerians and Hittites. The cylindrical ornaments, which were mostly made of gemstones were carved with sophisticated designs and writings. Their intricate designs were especially popular with most of the wealthy individuals, who had the riches to commission such designs. Just as in ancient times, engravers decorate or make things for everyday use. For example, Central and South American engravers worked with jade to make items such as masks, plaques, earplugs and other household items. Engravings were also used to describe biblical and other religious passages. People over the years have especially found the art of engraving as a means to record history. The Mesopotamians were renowned for carving seals, while the Egyptians were famous for carving gemstones. The Egyptians would engrave the scarab, an oval shaped carving which they would wear as an amulet to remind them of the afterlife. Historians have also found engravings as an important part of understanding Egyptian history. The discovery of the Rosetta Stone in 1799 helped unmask the meaning of Egyptian writing which had been lost since the 4th century. The pictograph writings had perplexed historians for over 1400 years. However, the discovery of the Rosetta Stone enabled scholars to break the code and understand the meaning of the engravings. Hand engraving is the simplest form of engraving. 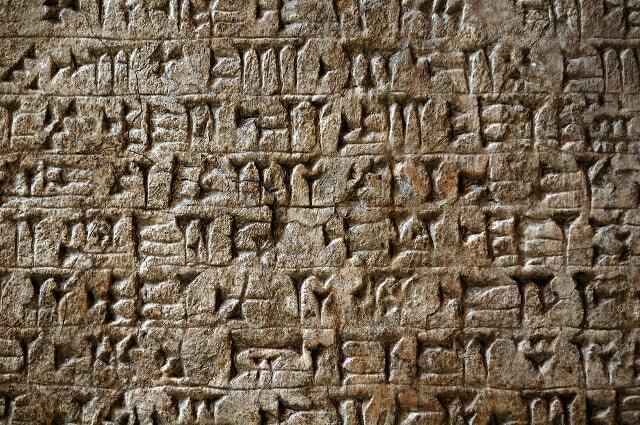 Also referred to as push engraving, it has been used since ancient civilization. It simply involves using a sharp tool and gouges to make an engraving in a piece of material. Most of the marks and drawings on cave walls by ancient man were made using this method. However, since the human hand is limited in the amount of strength it can produce, another method of engraving had to be invented. This led to chasing, which involved using a hammer to strike a carving tool such as a chisel. As civilization advanced, other complex engraving methods started coming up. It is nowadays possible to engrave almost anything depending on the material. For example, you can find an engraving company that specializes in jewels, firearms, household items among many others. This entry was posted in Able News and tagged able, engravers, engraving, hand engraving, material on 26th October 2017 by admin.